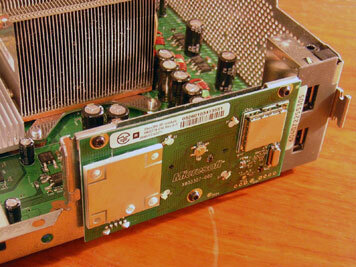 My son has a disc "loose" inside his X Box 360, it somehow got above and then behind the drive tray. 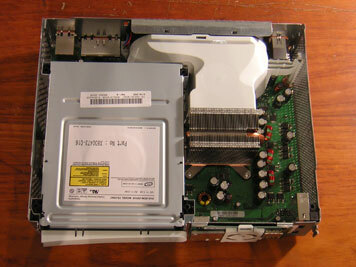 Is there a way to partially open/disassemble the unit to get at the disc? Thank you; seem to be clear instructions but, I'm stuck on removing the bezel, step 6. But perhaps I don't need to do this to get to the drive? Good afternoon,My son has a two year old xbox that keeps turning its self off,do you have any idea's,is it something we could put right or is it a shop job? Thank you for any help,Nikki Fereday. Pls my xbox360 is really getting me worried, i bought a new game, i put the game into the xbox it told me that 'update ready for xbox' it asked if i would like to update, i chose yes. While updating the xbox went off & then came back on, only to tell me dat 'cant read disc, please re-insert disc', ive done that but to no avail. I cant play my games, i cant play dvd's the only thing there is just the message about not able to read my disc---PLS HELP ME COZ I DONT KNOW WHAT TO DO,TNX. 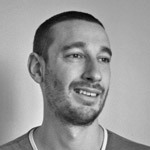 your site was the best help i've found. although, the screw sizes and colors didn't match mine. all where t10 or t8 (the light ring) also, in response to alex's comment, i had the same issue and i had to replace the drive itself. you can find them on ebay or amazon.com. 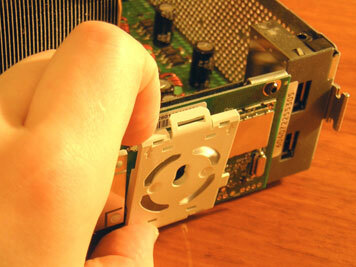 but you'll need to keep the original drive and take it to someone to have the match the codes. I did everything as followed' I removed most of the case but I had to stop as I came towards screwing part as I don't have the right screws for the job. But, my main problem with the console is the Tray' It will sometimes open and close but the Laser doesn't read any disc and tells me to open tray, I've tried many different ways to improve this problem but none have helped so far, Could you do a easy step by step on how this can be fixable? two bad i can't find a guide anywhere that tells me how to put everything back once i take everything out ah well i hope doing the steps back words works. 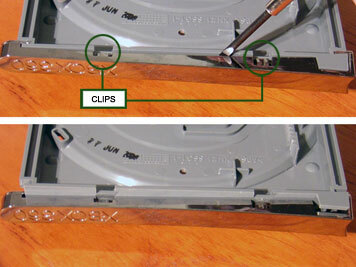 Thank you so much, at last a guide that has been written to easily explain the stripping of an xbox. You have made it easy even for a dolt such as myself. Thank you so much, I will make a point of using your ebay shop in future by way of a thank you. Thanks a million. The intructions are great and everything went as a charm. 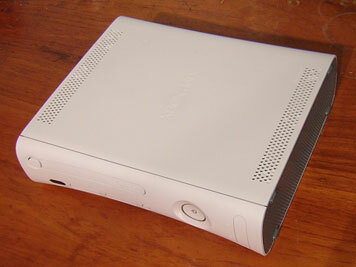 I was able to clean and fix my xbox really easy. Thumbs up. Definitely the best guide I've found, everything went perfectly. 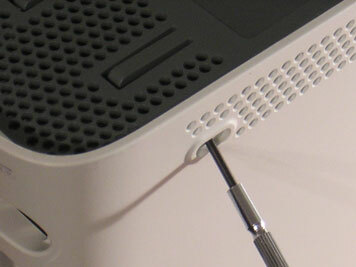 I have a torx so I used a small flat head screwdriver, worked a treat. I would stress that you need to take your time with the back clips. Have you ever heard of this before. I was wondering why I was having so much trouble loosening them with my torx, I thought I stripped them. I need to fix the open tray problem what do I do ! I found that the little filing blade in a pair of finger nail clippers works great on unlocking those 7 tabs on the back of the case. Thankyou for this guide, I had RROD (well not personally) and this guide was the starting point to fix it :) I was worried when I didn't get green straight away but working now :) The pictures were great and great explaination. Thankyou. 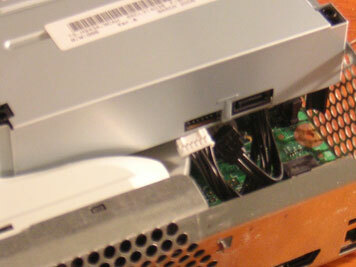 yea my xbox360 is doing the same thing, the red light mean your hardware is damaged or its not working. 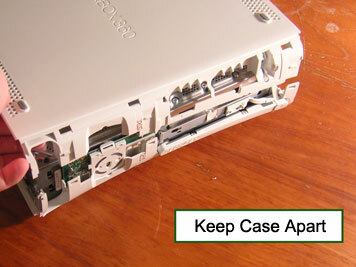 You can call xbox and they will repair it for you. you will have to send it to them. Just call them and they'll send you a box to put the xbox in. As anyone got any ideas my xbox elite as one red light and the E74 code and i bought this kit to repair but it is still doing the same thing. Can anyone tell me what the E74 code means. 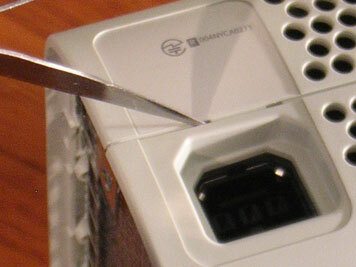 In response to the last poster I would not recommend using a knife to open the case! i havnt got a torx screw so i only got to the metal case. i used a special knife to unclip the seven clips at the black but they are now quite damaged and since i put it back together it seems very loose and there are alot of rattles and it just feels very fragile and week. awesome, i didn't think i'd get a response this fast. i'll try some of those. i appreciate the help!! As i'm sure everybody knows about this problem. 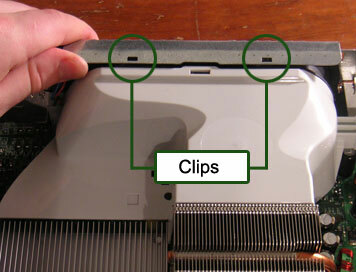 i was able to open up my xbox 360 perfectly with this easy-to-read step-by-step guide. The only reason i tried to do this was to fix the Ring Of Death. 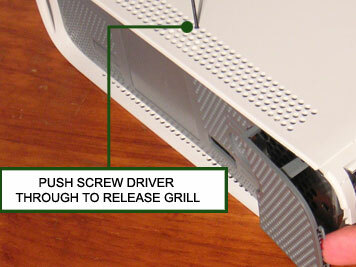 as i opened the component and disconnected the game drive and reconnected it i was stunned to see that, when i turned on my console while it still being open, the Ring Of Death had disappeared and the xbox took me straight to the dashboard; however, the xbox suddenly stopped feeding the video to the tv and gave me Two red lights instead of the regular three. 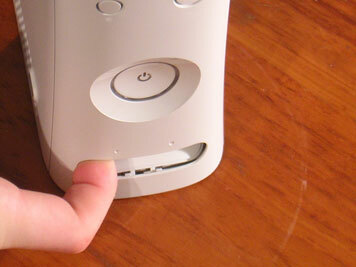 As i researched online i found out that the two lights indicate over heating of some sort. 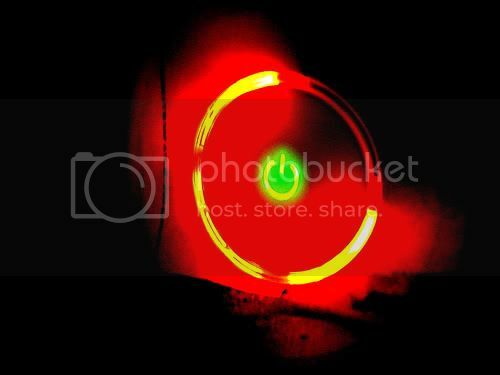 I decided to turn on my xbox once again and it gave me the Ring of Death once again without showing me any video feed or anything. If anyone can please give me some help on how to possibly fix the Ring of Death (in detail) i would greatly appreciate it! 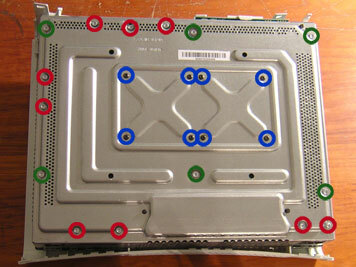 With both top and bottom vent covers removed you now lay the Xbox upside down. Because the chassis is screwed to the top, laying it upside down makes it a great deal easier. Continue taking the case apart by pushing the clips, this should be pretty self explanatory by now and it doesn't require any tools. 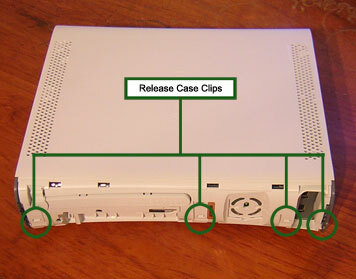 You may find the case spreads slightly out but does not fully release. im not worthy of you. 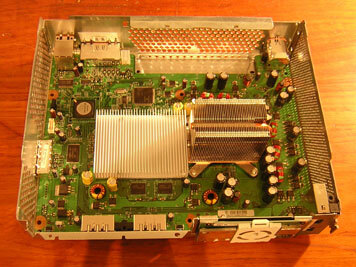 hi there,id just like to say i got an xbox 360 rrod repair kit with the torx screwdriver bits and the washers and the paste,and looked up your site on how to disassemble the xbox which was in with the instructions,and your step by step guide was perfect,it took me hours to take it apart disassemble everything paste the heat sinks up,clean them,trying not to scratch anything,its so intricate,i could work 4 the japanese.any way a massive thanks to you and the guy on ebay,my red ring has gone,phew,a million thank yous. Your step by step guide, eight #5 metric washers and silver thermal paste fixed my red ring of death. very simple to understand, but i don have, a torx thing. haha so i could only get so far. but still good guide. Awesome guide!!! made it all so easy!!!! Except I got to the 2nd to last stage and didn't realsie I'd need a torx 9 screwdriver!! I didnt have one so put it all back together til I buy one!!! Gutted!! Now I have changed the x brackets and applied new grease with a kit bought from e-bay, but its still not worked. Has anyone got any suggestions or do I bin The bloody thing. Excellent guide here, thanks a lot. Couldn't have fixed my 360 RRoD without it. Nice one. I had about two pounds of dust and funk in there! Microsoft wanted $99 bucks to fix it. A can of air and your directions took care of the problem.. No more red lights!